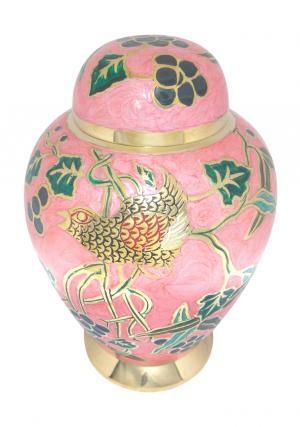 Pink Garden Design Adult Urn for Cremation Ashes with enamels decorated in Pink, Red and Green in detail with most of it covered in Pink engraving. The Large Adult funeral urn with decorated leaves of green and red with encryption of flying bird makes is more beautiful in presence. 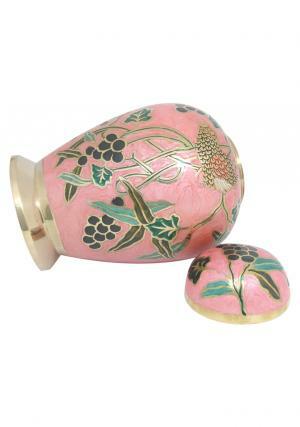 The urn is made of pure brass metal with good finishing from skilled professional. 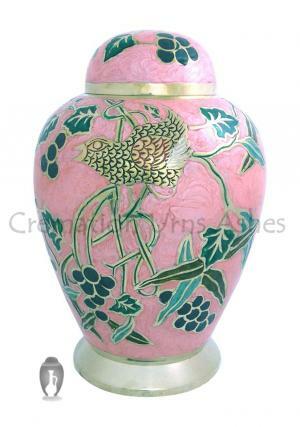 The Pink Adult Ashes Urn has a secure threaded lid on the top with decoration of pink enamel, green and red leaves. 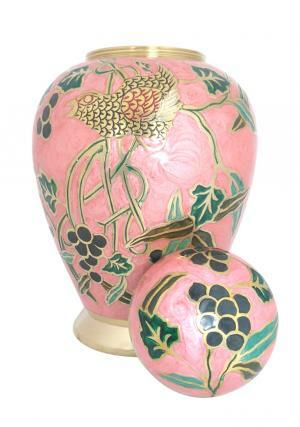 The secure threading is used to close the ashes inside the urn in a fixed state. 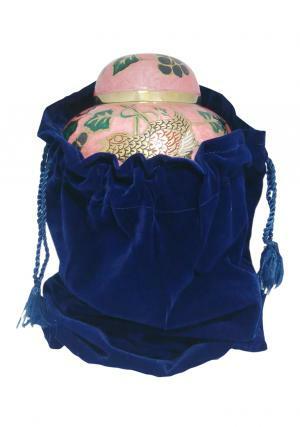 The Pink Garden Design Adult Funeral Urn for Ashes has the following dimensions with 9.9 inch height, 6.7 inch width and measures to weight of 2.56 kg in an approximation(weight is measured with an empty urn) which is capable of preserving adult ashes of 200 cubic inch.